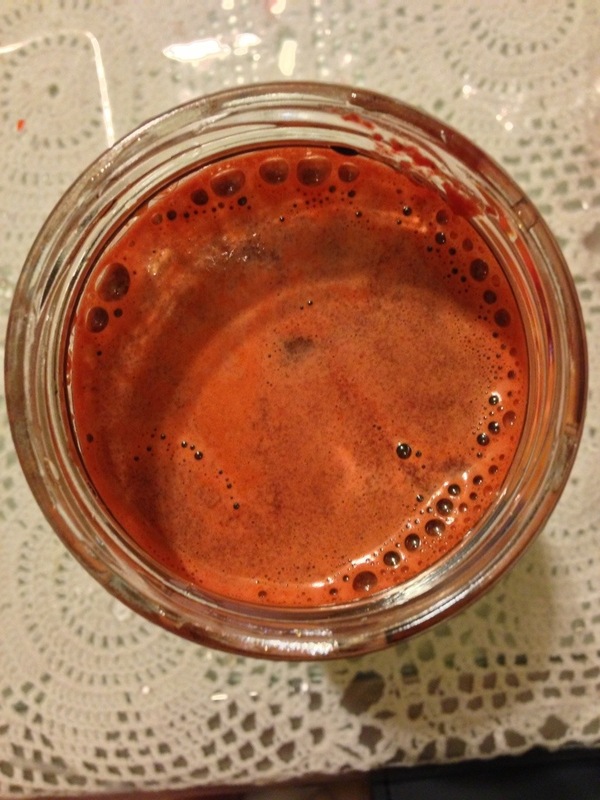 For dinner tonight I juiced organic carrots, spinach, celery and beets. 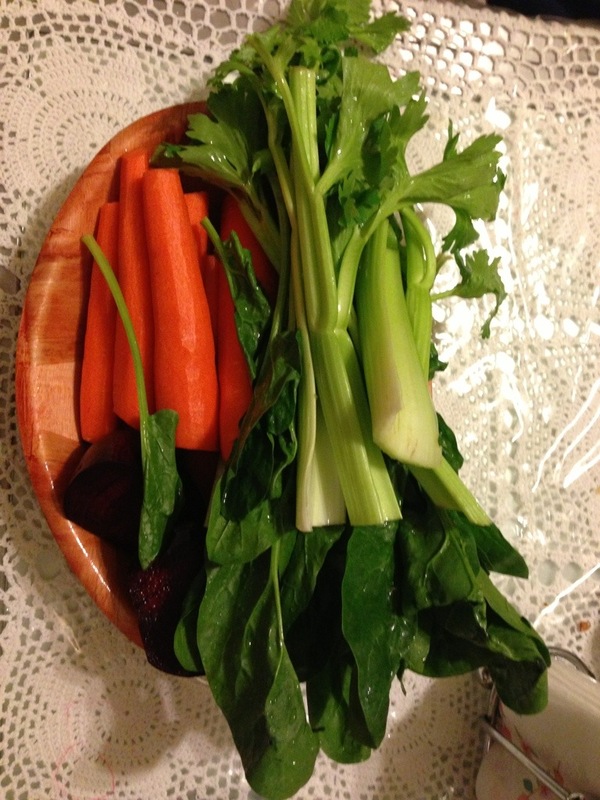 The health benefits for juicing your veggies are endless. It’s the best thing you can do for your body. Drinking green juices daily is the optimum way to consume your vegetables. Your body can receive enzymes from fresh vegetables and fruits. However, once vegetables are cooked at 118 degrees, they loose their enzyme content. Drink your veggies, it’s best! 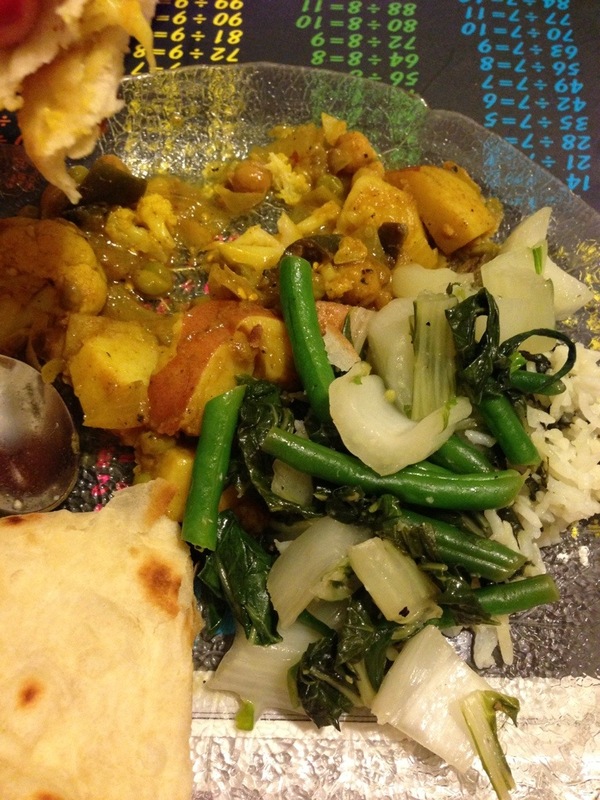 I also had some of my curry vegetable dish I made on Sunday. I was in the mood for a roti so I made one. I’m actually getting better at it. 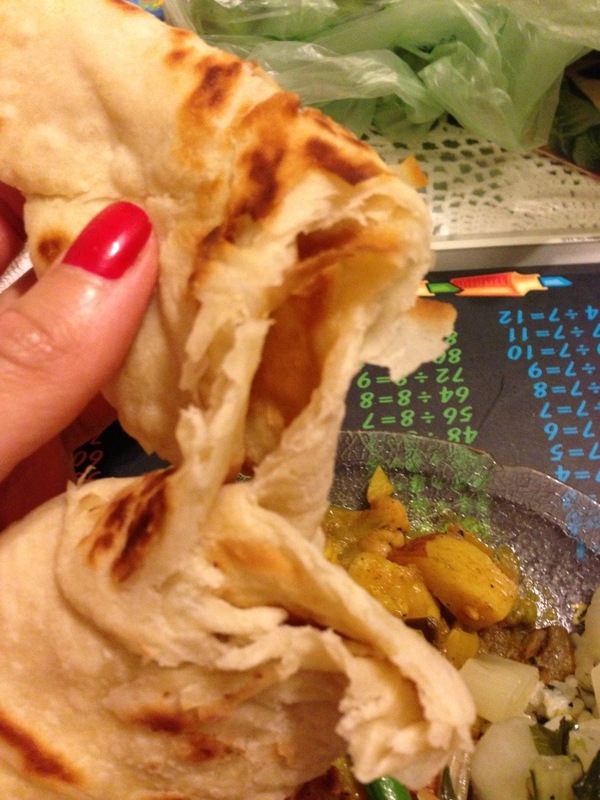 Roti is an Indian bread. I ran out of whole wheat flour do I ended up using the regular one. I was in a cooking frenzy tonight because I also sautéed bok choy and string beans with garlic and olive oil. I took these pictures after I started eating so it doesn’t look the prettiest. However, it tasted great! Good idea,i think so,and i like it too.thanks for your sharing.